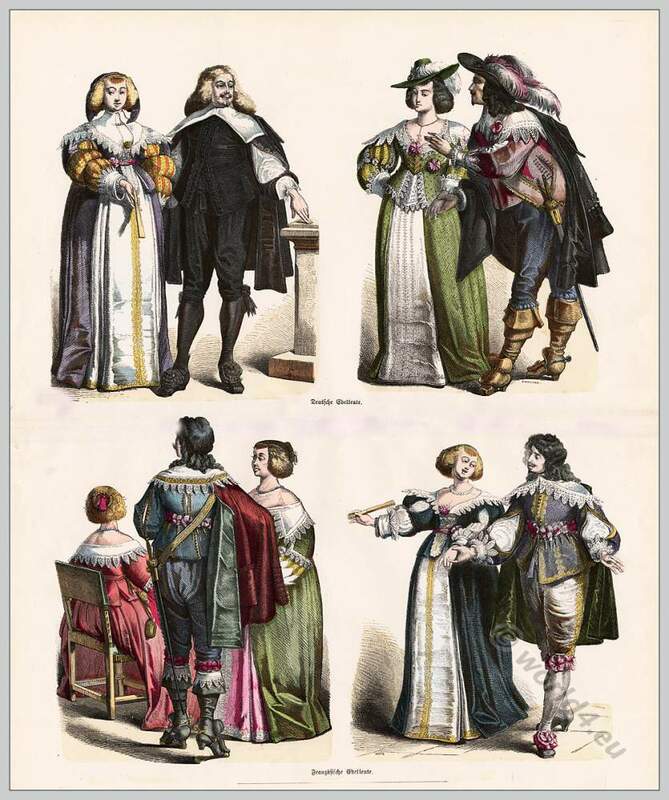 Costumes of the late 17th century. French and German nobility. Home » Costumes of the late 17th century. French and German nobility. 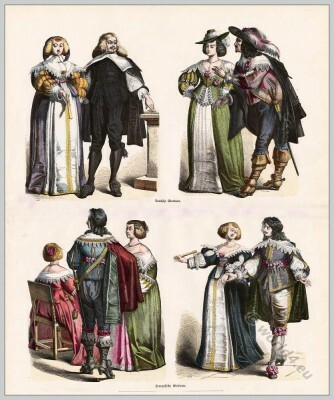 Costumes of the late 17th century, about 1690. French and German nobility. Fashion at the end of the 17th Century, about 1690, French and German Baroque fashion. Upper half of the picture: French aristocrats. Lower half of the picture: German nobles. “On the history of costumes”. Munich pictures sheets. Published by Braun & Schneider, Munich c.1858 -1898s. This entry was posted in 1690, 17th Century, Ancien Régime, France, Germany, Hairstyle, Hat, Headdresses, Nobility and tagged Baroque fashion, On the history of costumes on 9/10/13 by world4.